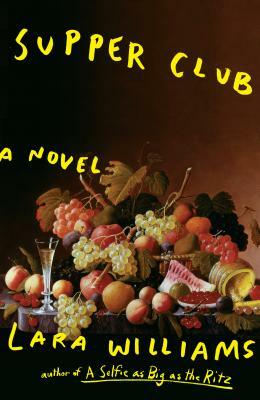 A sharply intelligent and intimate debut novel about a secret society of hungry young women who meet after dark and feast to reclaim their appetites--and their physical spaces--that posits the question: If you feed a starving woman, what will she grow into? Roberta spends her life trying not to take up space. At almost thirty, she is adrift and alienated from life. Stuck in a mindless job and reluctant to pursue her passion for food, she suppresses her appetite and recedes to the corners of rooms. But when she meets Stevie, a spirited and effervescent artist, their intense friendship sparks a change in Roberta, a shift in her desire for more. Together, they invent the Supper Club, a transgressive and joyous collective of women who gather to celebrate, rather than admonish, their hungers. They gather after dark and feast until they are sick; they break into private buildings and leave carnage in their wake; they embrace their changing bodies; they stop apologizing. For these women, each extraordinary yet unfulfilled, the club is a way to explore, discover, and push the boundaries of the space they take up in the world. Yet as the club expands, growing in both size and rebellion, Roberta is forced to reconcile herself to the desire and vulnerabilities of the body--and the past she has worked so hard to repress. Devastatingly perceptive and savagely funny, Supper Club is an essential coming-of-age story for our times. Lara Williams is the author of the short story collection A Selfie as Big as the Ritz, and her writing has been featured in The Guardian, The Independent, Vice, the Times Literary Supplement, McSweeney's, and elsewhere. She has been nominated for a Pushcart Prize and is featured in Best British Short Stories 2017. She writes and teaches creative writing at Manchester Metropolitan University. She lives in Manchester, England.